The republication of rare and out-of-print books provides an excellent way for the general researcher of Irish genealogical history to obtain the reference books needed to delve into otherwise unobtainable scholarly works on Irish history. 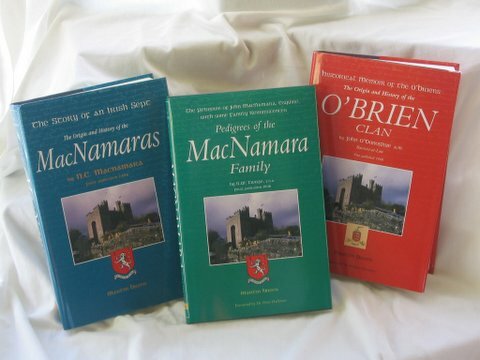 I have republished books on two of the main ruling classes in Ireland during the 15th, 16th and 17th centuries - namely, the O'Brien and the MacNamara clans. These three books, out of print for over a century, provide a veritable cornucopia of information on two major Irish surnames, the bearers of which have contributed to the vast majority of Irish and Celtic written history. 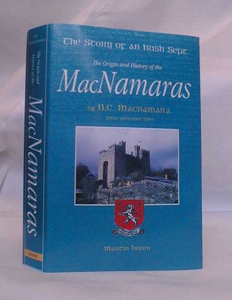 The MacNamaras were at one time powerful overlords of the later mediaeval period, ruling swathes of Counties Clare, Limerick and Tipperary for several centuries in succession. The O'Briens can boast of having Brian Boru, once High King of Ireland and famed as having broken the power of the Viking invaders, as the founder of their bloodline. 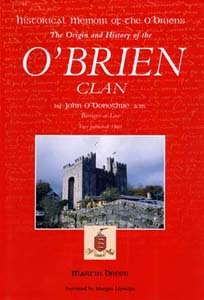 The names of O'Brien and MacNamara are now familiar throughout the global Irish diaspora and the books have had a world-wide response from people researching their family trees, or people who simply want to know more about Ireland and Co. Clare in the Mediaeval Period. 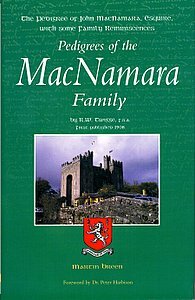 As promised, I have now managed to procure an extremely rare copy of another early book on the origins of the MacNamara clan. Entitled "The Pedigree of John MacNamara, Esquire, with some Family Reminiscences" it was originally published in 1908, and I have recently had it republished. For those that may wish to visit and experience the places of their ancestral heritage first hand, I have also published a 'Doolin Guide and Map' of the West Clare coast, a place famed for its Irish music, its long and varied history stretching right back to the earliest Stone Age settlers, and more recent culture of the last 200 years. The map will guide visitors to all the sites of interest musical, historical and otherwise. 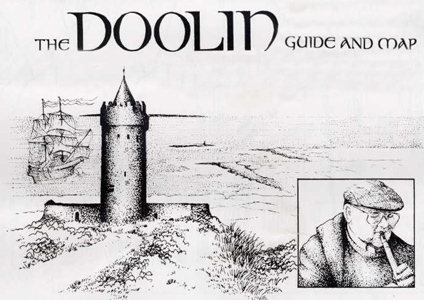 It also gives information on guesthouses, B&Bs, restaurants, pubs and other services in the Doolin Area. The History of Bunratty Castle takes you right through the thousand year story of this most renowned of Irish castles and is an essential companion for any explorer of the region.